PORTLAND — The head of Oregon’s pot regulatory agency on Wednesday blasted retailers who got caught selling marijuana to minors in a series of late-2017 sting operations. 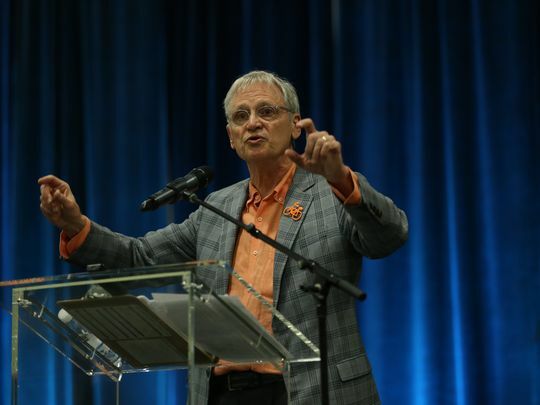 The fact that retailers sold pot to minors didn’t escape the notice of U.S. Rep. Earl Blumenauer, D-Oregon, who called it “outrageous” at Wednesday’s conference. The gathering of more than 1,000 industry players came only weeks after U.S. Attorney General Jeff Sessions’ decision to cancel the so-called Cole memo, which basically directed federal prosecutors to steer clear of legal marijuana operations. The move triggered outrage, and some degree of worry, through the marijuana industry, with speakers like Marks touching on it Wednesday. But banking and taxes have a larger impact on businesses’ day-to-day operations than the Cole memo, says Beau Whitney, an economist with Washington, D.C.-based cannabis analytics firm New Frontier Data. To ease the way for banks to work with marijuana businesses, the U.S. Treasury Department issued guidelines in 2014 that worked in concert with the Cole memo. The memo’s cancellation has spurred fears that the federal government may also take away financial protections. “They could just as easily be revoked,” said Casey Houlihan, executive director of pro-weed lobbying group Oregon Retailers of Cannabis Association. Marijuana retailers aren’t allowed all the same tax breaks as other businesses thanks to part of the federal tax code called 280E, which was installed in 1982 to stop tax write-offs from illegal drug sales. Jered DeCamp, owner of Salem retailer Herbal Remedies, can’t write off certain business expenses on his taxes, which would help lift his take-home pay. Because taxes outweighed his pay as a business owner, “I had to pay $15,000 to work this year, essentially,” DeCamp said before the conference. DeCamp says his credit score is around 800. But that doesn’t do him much good when he applies for a loan. Marijuana is still illegal under federal law, so banks generally won’t touch marijuana business owners like him. Institutions like Salem-based Maps Credit Union have taken on such clients. But even that presents logistical problems. For Joseph Hopkins, who owns marijuana stores in Detroit and Eugene, getting a Maps account was an ordeal. “It shouldn’t take a business five months in order to get a bank account,” he said. As it stands, Hopkins has about an hour or so drive to get from either Eugene or Detroit to the credit union, taking away energy and time he should be spending running his business. For daily deposits, Hopkins wishes he could just walk to a bank across the street.